Tejas Ozarkar, MD is an interventional pain physician and physiatrist. He centers his practice on patients with neck, back and joint pain. Dr Ozarkar earned his undergraduate and medical degrees from Texas Tech University. 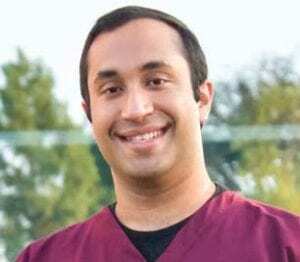 He underwent residency at University of Pennsylvania and completed an Anesthesia Pain fellowship at Texas Tech University. His clinical interests include non-surgical management of neck, back, and joint pain, however, Dr. Ozarkar also has extensive experience in electrodiagnostics (EMG), headache management, concussion management, arthritis and peripheral neuropathy. He performs diagnostic blocks, epidurals, joint injections, radiofrequency ablation, spinal cord stimulation, PRP and stem cell therapies, as well as in office procedures with the goal of getting his patients moving and back to doing what they love. His philosophy is simple: use precision medicine to get an accurate diagnosis and treat it in the most conservative way possible. Dr. Ozarkar has been published in journals such as PM&R and has presented research at the AAPM&R and Texas Pain Society meetings. 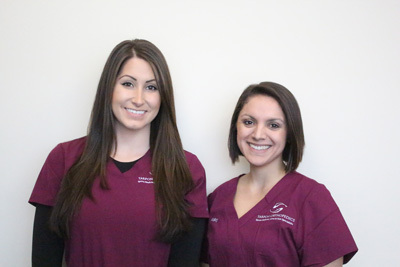 If you have any questions specific to Dr. Ozarkar’s clinic, please call our main line, 972.596.1059 or reach out directly to his clinic coordinator, Alyssa Romano at aromano@tarponpa.com.